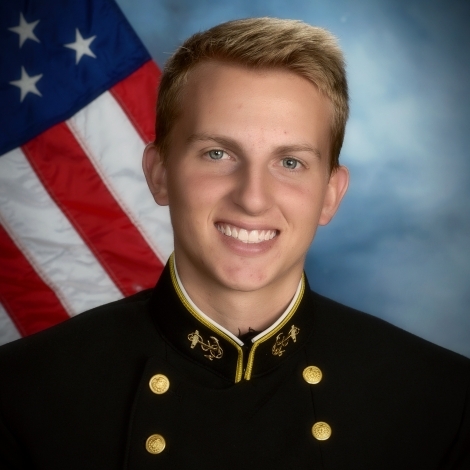 Cadet John (Jack) Wheatley’s story began on June 2016 when he received a call from the US Coast Guard Academy Baseball Coach telling him he was pulled from the wait list and offered a fully paid tuition and spot on the DIII Coast Guard Academy Bears pitching staff. Jack had already been accepted to Maryland and was set to attend Fall 2016 when he received this call. This call saved his life. On Monday, June 13th (his Mom’s birthday), he accepted the appointment and was set to report on Monday, June 27, 2016. Jack began his tough swab summer and it was then that the medical clinic checked his blood counts. It was determined that his white blood cell count was low, but nothing alarming. Every month, the clinic continued to check his blood and in October, it began to drop and again in November which was enough to send him to a local hematologist for a complete blood evaluation. Up to this point, Jack completed an intense swab summer training with his classmates and continued in the fall semester a demanding 19 credit course load in which he received B’s is all classes. It was on Wednesday, December 7, 2016 last day Fall semester, when Jack was taken to the local hematologist in New London, CT and that afternoon was told he had leukemia and needed to be admitted to a major hospital within 24 hours. On Friday, December 9, 2016 it was confirmed he had acute myeloid leukemia (AML) and would need to begin standard of care that week which involved four rounds of chemotherapy. Thankfully, Jack reached remission after the induction round for AML and was considered a low risk AML patient, but would need to complete the other three rounds of treatment as recommended for standard of care. “We’ve got Jack’s Back” became a daily reminder of support from family, friends, Coast Guard classmates, families, officers, Police, EMT’s, Navy and numerous Collegiate Sports teams across the country who simply held a sign supporting Jack. An amazing gesture by strangers who simply wanted to help and believe me it did. Today, Jack is feeling great with his health improving daily, but unfortunately cannot return to the Coast Guard Academy and is awaiting a medical discharge. In the interim, Jack is enrolled at the University of Maryland and part of the Civics program, where he is volunteering at many charities. Jack was able to pitch one inning in the Fall 2016, retired three of the four batters and excited about pitching in the upcoming season. Baseball has always been a favorite sport of Jack’s which he excelled from an early age of 5. Jack received top honors in his Junior/Senior year of high school, and never considered attending a college to play baseball. It was about getting a quality education for Jack. However, the opportunity came for both a quality education and playing baseball for the United State Coast Guard Academy and Coach Grant.